The comic book American Dark Age is set in the near future. A mysterious event renders all combustion based machinery, modern weaponry, and electric technology impotent and useless throwing the world in to a new dark age. The story focuses on Katherine Brody, a young punk singer from Oregon. 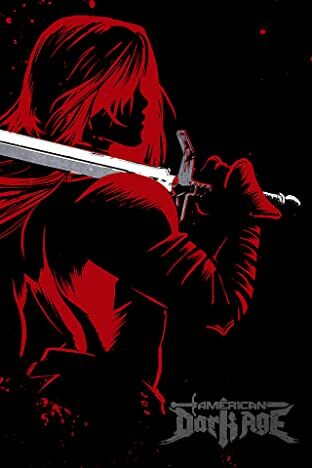 Against the wishes of her widowed father, she joins the Marines and becomes a sword-wielding knight. 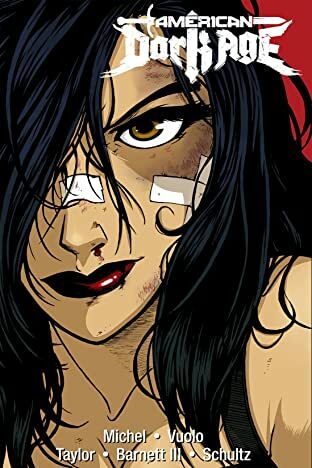 Brody begins the story as an angry and unfocused young woman with no real idea of who she is or what she stands for. Throughout the series, her personal growth begins to shape not only her own sense of self and beliefs, but those of the people she encounters and in part, the future of the country she calls home. Brody's journeys take her and a small team of Marine Corps "knights" from the bloody shores of California across the now harsh and lawless landscape of the United States. While on a series of adventures revolving around the schemes of clandestine religious organizations to a country wide invasion by our closest neighbors and allies, Brody's prowess as a warrior and leader is honed to a deadly science. Eventually the volatile political atmosphere and unrest in the US brings the knights to Europe in search of new allies, as well as to find answers to the cause of the mysterious event that set all of this into motion. 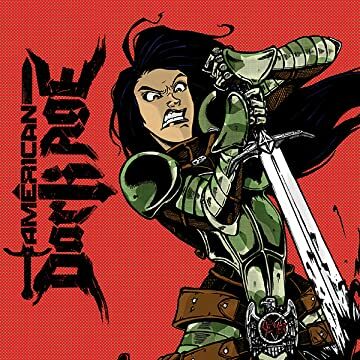 American Dark Age is filled with political intrigue, humor, drama and ultra-violent, sword clashing battle scenes. The comic book takes a new look at the American spirit and reveals what the true foundations of our country are built on. It also draws awareness to some of the pitfalls that our hyper-technological world has opened up to us. American Dark Age reflects on what our lives would be like without instant forms of communication, high speed travel, and global, virtual currency. It shines a light on how much warfare has changed, not in just the ways we fight our wars, but also as to what the motivations for our wars have become.